The new and premium Braun Series 9 Model 9005cc is outstanding in all aspects. It has everything that a shaver should have. This model can work effectively wet or dry situation and this feature is enough to show how user friendly this new Braun 9095cc shaver is. All these models have the capability to convince you to use them. The ultra modern features like SyncroSonic technology and Hyper-lifting technology are appealing enough to attract any user of electric shavers. Today we are going to bring you an honest review before to help you get the complete idea about the Braun Series 9 Model 9095cc. 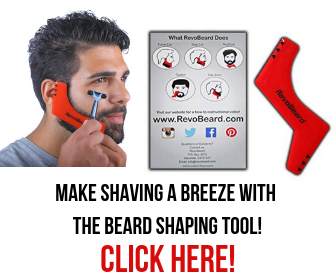 All the shavers of this series have come out with the four action shaving system which is very handy in cutting any hair from any corner of the face. No matter how tough the beards are, it will cut them effortlessly. The new Braun Series 9095cc has a super flexible shaving head, which can literally move in almost all directions. As a result this shaving head can follow all the ups and downs of the contours of the face. This floating head ensures a clean and smooth cut in the tough areas like the upper lip, chin, neck and side burns. The Optifoil technology confirms close shave without a single scratch on your face. I know you wondered when you saw that the Braun Series 9 9095 has wet or dry capabilities because the 9040s is the only dry and wet shaver in the best Braun shaver family. The 9095cc is a cordless shaver and as well as waterproof and it can work quite effectively in the shower. It is completely safe to use this shaver while in the shower or in the bathtub. All the shavers of the Braun Series 9 are completely waterproof, so that it can be cleaned under the tap, but the 9095cc has come up with the cleaning and charging station, which will decrease your workload. The cleaning station is effective enough to clean every single hair from the shaver head. It not only cleans the shaver head, but it also dries it out and always keeps it ready for the next use. The Braun shavers which have the letter “CC” after the model number have a cleaning and charging station with the shaver. Though the shaver is very easy to use and you really don’t need to use the user manual to operate this best electric shaver, the Braun series 9 shavers have distinct user manuals which are very handy to get the best out of this shaver. There are a lot of sites on the internet that have asked about the performance and questioned if it’s worth this price. 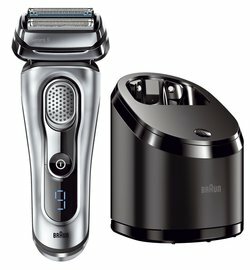 I personally recommend this best electric shaver of 2018 because it is highly improved and has come up with a lot of effective features. The shaver is a little heavy, but not hard to operate. It is designed for comfortable use. The body of this shaver is rubberized and that is why it is hard to slip out of your hand and get damaged. At the end of the review I want to recommend to you that if you have any Braun shavers from other series that you want to replace or even if you’re using another kind of shaver, this Braun Series 9 can be your best companion and a good replacement.